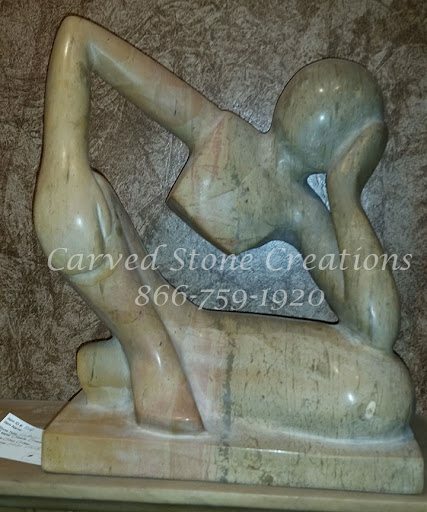 Stone sculptures are available in many different styles ranging from modern to classic. The statues and sculptures featured below are all hand-carved from natural stone. Each sculpture is sure to enhance the beauty of your home. 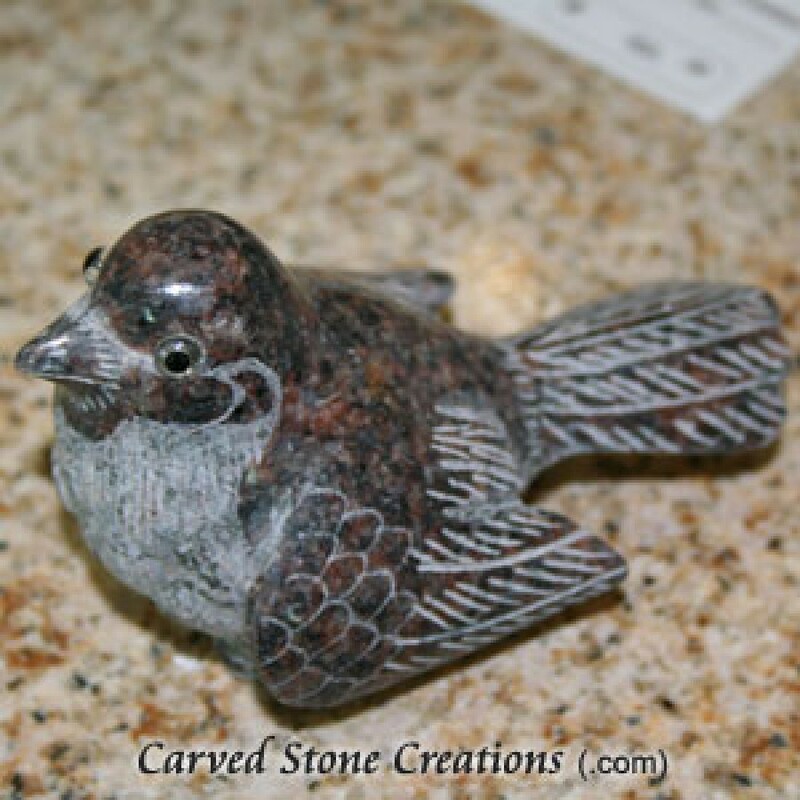 This small bird sculpture is carved from granite stone. It makes a great paperweight or display piece for a desk. It can even be used as a small decoration around the home. The carved details on the sculpture are enhanced with polishing. Check out this sculpture here. 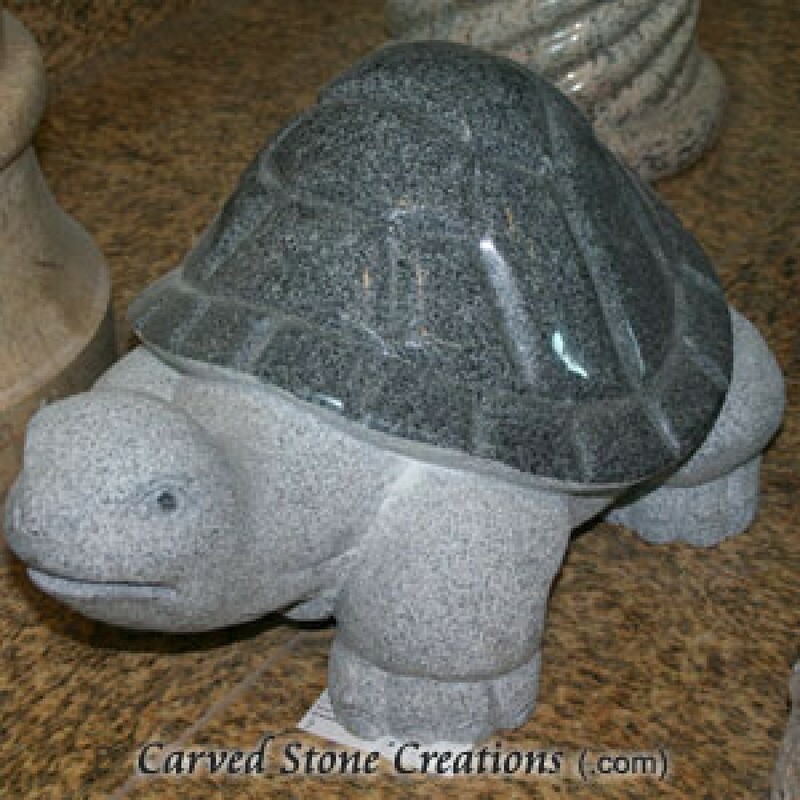 This tortoise sculpture is a perfect accent for your home, garden or even your pond. This sculpture is carved from charcoal grey granite. Polishing on the shell really gives the tortoise an eye-catching look. 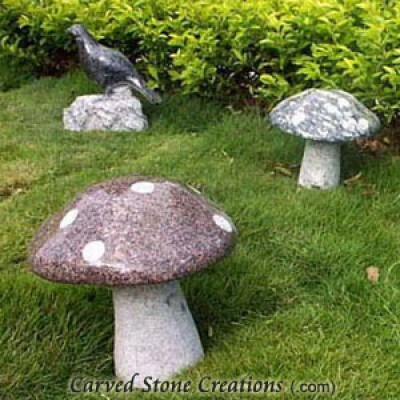 These whimsical mushrooms are a great addition to any landscape. The polished stone caps will really stand out in your garden. Each cap and stem is available in a variety of colors of stone, so you can create many unique combinations. Take a closer look at these sculptures here. A pair of lion sculptures makes a great addition to the entryway of your home. These sculptures are carved from a polished Beige Venato Marble. Both lions sit on decorative bases with classical carving details. Learn more about this sculpture here. 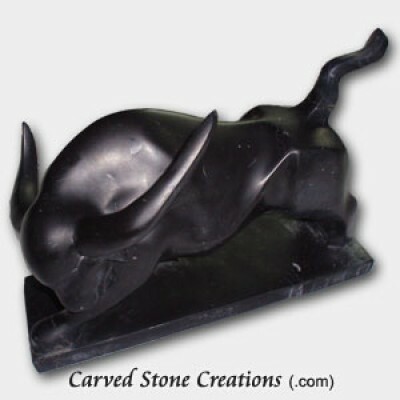 This contemporary styled sculpture of a bull is hand-carved from Fortress Ebony Limestone. The sculpture is highly polished to give it a sleek look. Add this sculpture to your mantle, shelf or desk for a wonderful decoration. 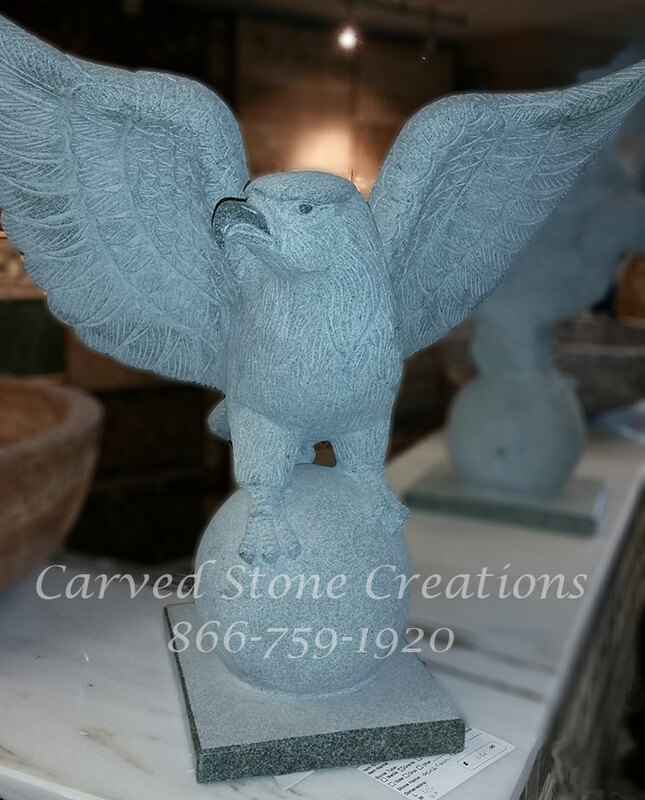 A stoic bald eagle statue makes a perfect cap piece to a banister or gate. It is hand-carved from natural Mermaid Green Granite. The subtle polished accents on this sculpture make the features stand out. Take a closer look at this statue here. This statue takes a modern spin on the classic thinker statue. This sculpture is perfect if you love a contemporary style. It is carved from Beige Venato Marble. The sculpture makes for an interesting decoration for your office or home.